Shoes and Clothes for Kids needs your help to ensure that lack of appropriate school uniforms, shoes and supplies aren’t barriers to getting an education for more than 11,000 local school aged children living in poverty each year. Your tax-deductible gift is deeply appreciated. Please make your gift online and start making a difference today! Please fill out our online giving form & make your contribution today! Call 216.881.7463 x 3 for assistance. We would be happy to answer any questions you might have. Please contact the SC4K office at 216.881.7463 x 3 or tuhl@sc4k.org for assistance. As a non-profit agency that charges no fees to its recipients or distribution partners, all our revenue is generated through fundraising. 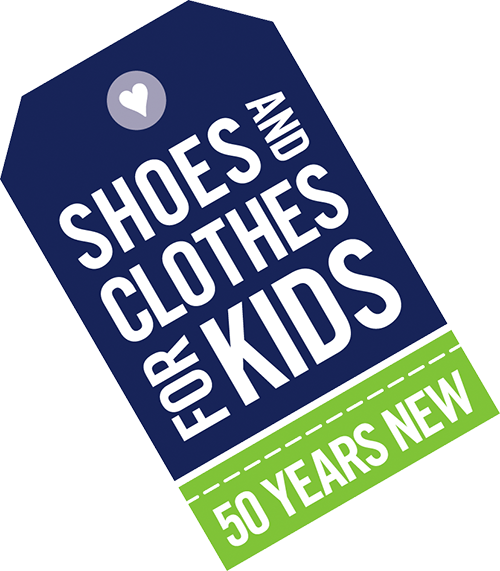 Your financial donation helps Shoes and Clothes for Kids positively impact the lives of area school children by giving them the self-esteem and confidence that comes from having brand new shoes and clothes. SC4K is a fiscally responsible organization that works hard to ensure your money is spent wisely. Visit our financials to learn more about what SC4K does with your donation.